A watercolor tattoo job usually equates to having flowers inked on the skin. But if you're someone who finds floral illustrations too girly for your quirky personality, try these colorful ones instead. Have your fave Disney princess inked on your body. Or maybe Peter Pan + squad to remind you of how easy life was when you were a kid. Here's a delicate version of the galaxy. 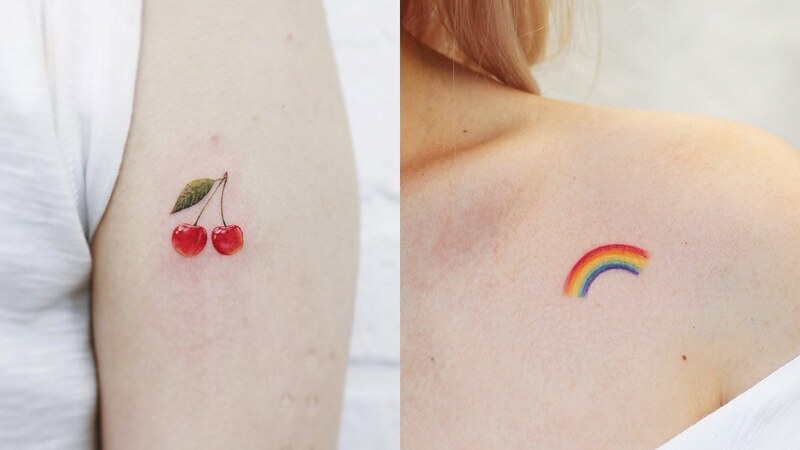 Get cherries or any of your fave fruit as a tattoo! Try a minimalist version of a rainbow. Tell the world that you're a huge Sailormoon fan. If your artist is insanely talented, have her draw a realistic image of your fave creature. A cotton candy tattoo is just too cute! Bring a piece of art everywhere you go by having a dupe of a Van Gogh painting inked on your body. Or just go ahead and wear the rainbow!